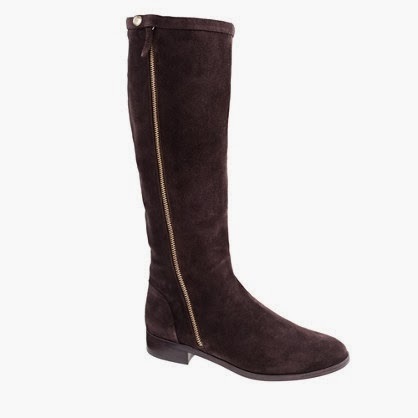 In my effort to prep for Winter fashions at the start of last Fall, I needed to find some great boots. It gets overwhelming to find boots, especially online where you can’t feel the quality of leather and if the measurements are accurate. That boot shaft is so tricky! And more than anything, it’s easy to feel frumpy when you’re layering for what feels like an eternity. BUT, I was crazy lucky to take a chance on my whim to get the Harper boots from J. Crew. I honestly think these may be the most wonderful flat boots ever made. They are like BUTTA! I ordered my true size in the brown suede. The suede is so utterly soft, it’s like you’re holding a leather sample for a couch. The leather is thin but not flimsy. Its got a great weight that helps insulate your legs when you need to keep warm but not so much that you start to sweat. The heel is ¾” but for someone who’s so used to wearing heels, you feel like you’re barefoot from how low you are. I’ve had flats and other flat boots that actually hurt my heels after wearing them for long stretches of time. Not the case with these. The inner cushions in the soles are fantastic. They take about one or two good wearings to form to your feet. After that, its like you’re not even wearing shoes. They feel like really comfy socks. The toe box has lots of room to wiggle your toes in and help if you should be on your feet so long that your feet swell. These are not boots that stand up on their own. They flop over because the leather is that soft. These have to be stored in their box with the tissue to keep them looking their best through the seasons. I say through the seasons because I’ve not stopped wearing them since I first got them. They were perfect for Fall, phenomenal for Winter and just right for the chilly Spring moments. I loved the brown suede pair so much, I had to get them in black leather. They also come in Cognac and Grey Suede. And just like the first pair, they have not disappointed. I really love the sleek silhouette these boots give you. They don’t slouch down around your ankle after a few hours of wear. They stay in place just as when you first zipped them up. They have enough room in the ankle for folding in straight leg jeans and even more room with skinnies, leggings and tights. They don’t dig into your foot or any part of your ankle when walking or sitting. The boot shaft is perfect for those of us with toned calves measuring a generous 14 ½” thanks to the extended calf design. It seems that the secret is out on these as they’ve sold out on the J. Crew site. But don’t fret. You can score yourself a good pair, at quite a nice deal, on Ebay. In my quick searches, most are at a 50% discount on the “Buy It Now” option. So go boot the winter blues with this great Ebay bargain! @Dolce Vita Thanks Doll! I was always nervous about suede too but I found some killer suede and leather protectant spray that is awesome... Have you tried any? I'm a big fan of your blog and style too. Your boots sound great. I need to invest in some new knee high boots!! Winter and layering can be abit of a chore! Hey ladies! JCrew's having a sale 40% off! Code: TAKENOTE yay! lots of items to choose from! Oh these are nice! I know it can be overwhelming when you are looking for something specific. I have a horrible time with coats. My sells out very quickly and even when I find it the garments often do not fit. @Allie of ALLIE NYC, its the worst when you actually have something specific in mind! And when your size, no matter in what, sells out the fastest, you're so out of luck when it comes to sales because those are the sizes they're out of... Such a bummer... What about getting a good tailor? SUCH cute boots!!! I desperately need new ones too! These boots are fabulous! Love them! I'm so glad that you included an ebay tip for those of us who can't buy these boots at full price. I love the gray version and it even looks so soft from the photos! Very nice boots. Thanks for sharing. Also, thanks for your comment on my blog and follow. I'm following you back on GFC and Bloglovin. Keep in touch and have a great day. What awesome boots! I love a great pair of cute flat boots! Nice selection, seems so comfy! Great descriptive review. I only wish reviews on retail sites were this good since it can be risky to buy shoes online. I can understand why you are so pleased with these boots. The classic style makes them a worthwhile investment. I really love the black leather ones. 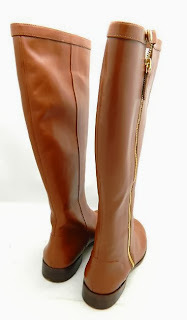 I've been on the hunt for some nice knee high boots for the past winter! Thank you for the sweet comment you left on my blog, by the way! I really appreciated it! These are gorgeous boots! We get a lot of wet weather here, and I worry about wearing suede in the rain. But the comfort of these boots sound so, so nice. I have to be careful about the width of the boot, and sometimes go to a wide width. Thanks so much for popping by my blog and saying Hi! I love when I find a great boot that I like so much I want it in more than one color. 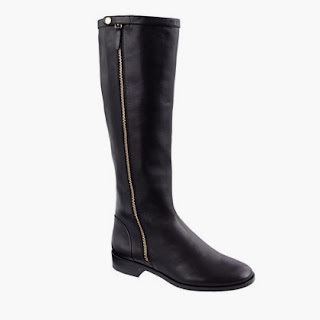 This year I got a pair of Sam Edelman black riding boots that I love! Nice products! Love these styles! They all look genius! Love the boots especially in grey. I find that flat shoes hurt my heels a lot to so nice to hear these don't. That asymmetrical side zip is so chic! One little detail can make all the difference in the world! Great pick! Thank you for visiting and hope to see you back for my latest lovey! Those boots look gorgeous! I love the look of the leather - it looks so soft and supple! These boots are gorgeous! Every girl needs a fab pair of boots!